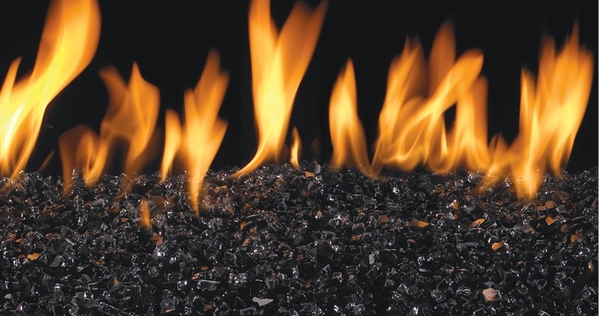 Gas logs are a great investment for your home and hearth, but for those of you interested in the warmth and ambience of gas logs but who want a more modern look, consider the Real Fyre Black Fire Glass Set by Peterson. The fireplace fire glass set is designed to go right over a burner just like logs, but the gas comes through the glass and the flame burns above it. This fire glass set is specially formulated, tumbled, and tempered leaving no sharp edges and making it both durable and perfectly safe to handle. Real Fyre Fire Glass Sets can go anywhere you'd put a log set or other burner type, but look especially great outdoors, in coastal areas, or in homes with a slightly modern theme. Luxury doesn't get any more contemporary than the Real Fyre Black Glass Fire Set by Peterson, so complement your style with this top-of-the-line take on an old classic. This fire glass set comes with a Peterson Real Fyre Triple T Fireplace Glass Burner System. The Triple T fire glass burner produces eye-catching and soothing flames that bring out the beauty of fireglass while helping to keep you warm. This is a vented gas fire glass set that must be installed in a fully vented wood burning fireplace. With vented gas fire glass sets you'll enjoy a large, realistic-looking flame that operates with an open chimney flue, or damper. These fire glass sets, which simulate a wood-burning fire, are the most realistic type of fire glass but, just like real fires, lose some of the generated heat up the chimney. Vented fire glass sets are the most popular type of fire glass sold. Professional installation is recommended. Sets include stunning fire glass, separation grating, Real-Fyre burner pan with Triple T burner system, bag of sand (natural) or Lava-Fyre granules (propane), fuel injector/air mixer, connector kit, and damper clamp. This fire glass set is a Match Light system and does not come with a pilot kit. The fire is lit using a long match or lighter while you turn on the manual gas valve either on the floor or in the wall. The flame height is then controlled by adjusting the key valve. If you do not have a valve currently, you will need to purchase either the AV-17 or the AV-18. * This is a Natural Gas Fire Glass Set. Please verify that you have the correct gas type. * The fireplace's Middle Width must be at least 23 Inches and the Depth must be at least 12 Inches for this fire glass set to fit. You can calculate the middle width of your firebox by measuring the width (left to right) approximately half way back in the firebox. If you have any questions, please contact our customer service department and we will be happy to assist you in finding the perfect size fire glass set. How much glass comes with this set? This set includes 10 pounds of glass as standard. Our family couldn't be happier. It can put out plenty of heat and looks great. The box came with everything needed and was so easy to install. Received gas set before date promised. It was easy to install with the easy to follow instructions. I highly recommend this product and company. The sales staff was very professional helpful when I spoke to them prior to my purchase. ProsEasy installation and quality material used. ConsI should have purchased an extra bag of glass. The provide enough to cover the pipe but I think it would look better if the entire base of the fireplace was covered. It looks much better than expected. For the price you won't find anything better to replace your wood burning fireplace. Spent less than $300 for the glass and insert. I'm very happy with the results! ProsCheap and still looks good. ConsPilot is pretty large and sticks out a bit. Fire is not completely centered. I love staring at the dazzling diamonds in the fire! I am so impressed with the way the new burner and fire glass looks. Gives a much more updated look to an old fireplace. 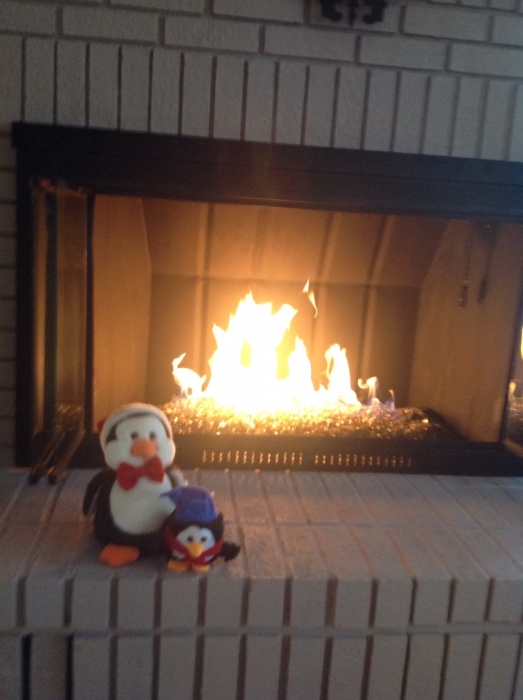 eFireplaceStore was helpful when I had questions and were prompt and reasonably priced. Thanks for such a beautiful addition to my home. A real conversation piece. And great heat. Chimney sweep/installer said it was the first one he installed. D in 23 years in the business! Everything I needed in one kit that made setup easy. I purchased stones as an added accessory to mine. Prosmore attractive in person than in the pictures. ConsI did order an extra bag of glass to fill my insert firebox. One extra bag did it for me. 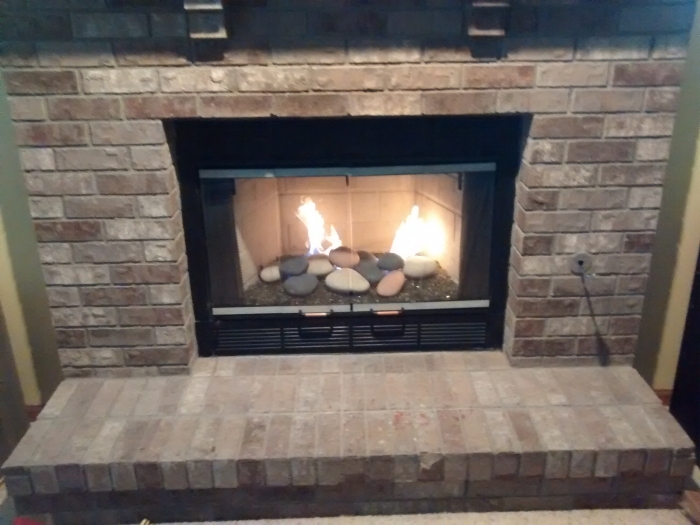 My husband was able to easily install this system, making for a beautiful fireplace. Ill buy another one for my living room!!! This arrived quickly and was exactly what I was hoping for. Easy for my installer to do and it looks fantastic!! I'm trying to decide whine color to do my living room. ProsWe love that it was easy to instal and the rich glow of the fire on the glass is beautiful. ConsNothing. I wish I had another fireplace to use it in.